Nowadays, we tend to store our experiences of important occasions in photos and videos since cameras and camcorders are popular. To better preserve these sweet memories, make a slideshow with music, photos and videos is a good idea. 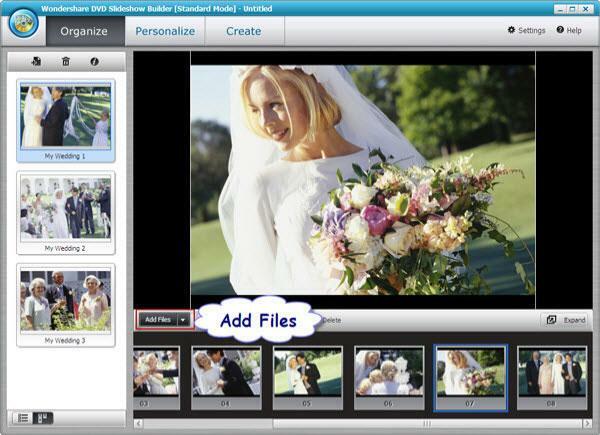 It's not as difficult as you think since all you need are: a slideshow maker like Wondershare DVD Slideshow Builder, photos and videos you want to show, music to go along with your slideshow. 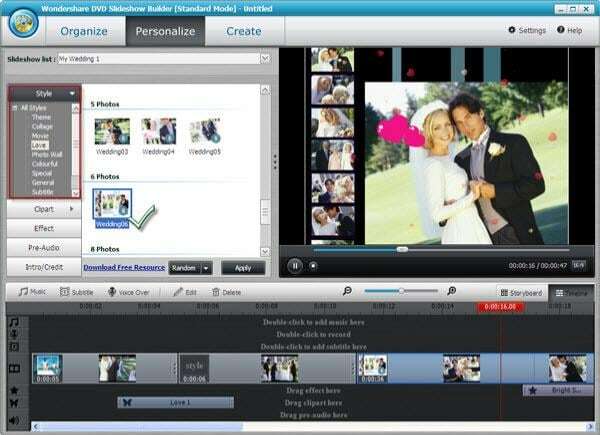 Here is a tutorial about how to make a slideshow with music with this powerful slideshow software program. Install the software and import your digital photos to the storyboard by clicking '"Add Files" (there is no quantity limitation of photos). You can also add videos from computer or camera. Go to the "Personalize" tab. Click "Music" toolbar to add background music or just drag the music to the background track. In the timeline, you can drag the slider to make the music best suit the photos and videos. If you need to edit the music, double click the clip and in the pop up window, trim music and adjust music volume as you like. 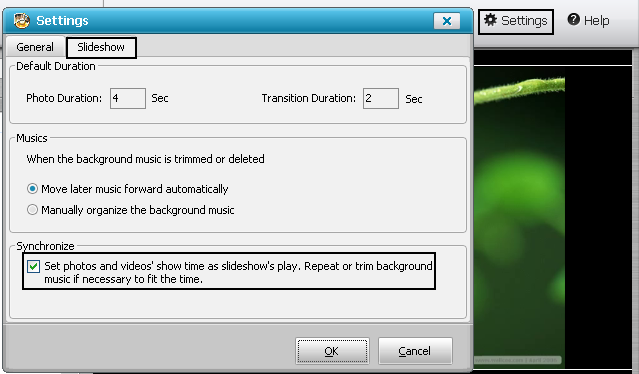 Tip: If you want to synchronize background music with the slideshow, click "Settings" (it's on the right upper corner) and choose "Slideshow" tab, then tick the checkbox under the "Synchronize". At last, click "OK" button. There are also 480+ free styles and transition effects that can be used for your picture slideshow with music in this tab. Choose your favorite styles and drag it on the photos. You can also add decoration text, clipart and effects on your digital photos. To make add more fun, you can also add intro movie and credit movie to your picture slideshow with music by clicking the "Intro/Credit" build-in button. Go to "Publish" tab, you can preview the photo video by click the preview button first. Then publish it to the format you want. If you want to watch your photo slideshow with music to iPod or iPhone, you'd better publish it to MP4 format. This slideshow software also enables you to share your slideshow directly to YouTube by filling in the necessary information. 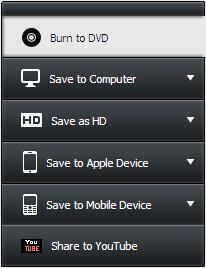 Besides, you can burn DVD slideshow with music by clicking the "Burn to DVD" button and putting a DVD disc in your computer.